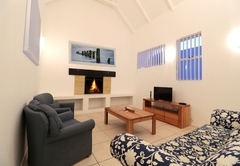 Witmossel is a property providing self catering in Paternoster for up to 4 guests visiting the Cape West Coast region. 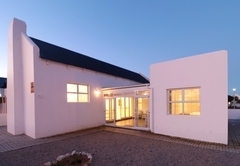 Witmossel can accommodate up to four guests and is located approximately 300m from the beach in Paternoster on the West Coast. Paternoster, meaning "Our Father" derives its name from the prayers of ship-wrecked Portuguese sailors. 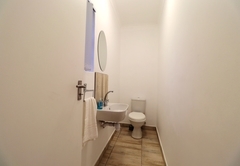 Paternoster is a small, quaint and picturesque fishing village about 145km (90 minutes drive) from Cape Town and 15km north west of Vredenburg. 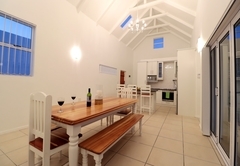 Witmossel is a self catering holiday home in Paternoster which has two bedrooms, one bathroom and a guest toilet. 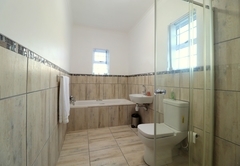 The bedrooms have double beds and the bathroom has a bath, shower, toilet and washbasin. 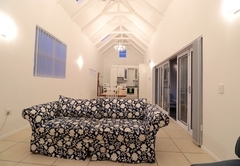 The open plan living area is double volume and contains a kitchen, lounge and dining area. 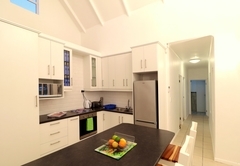 The kitchen is fully equipped with a stove, oven, fridge / freezer, microwave, kettle, toaster and a breakfast bar with stools. In the dining area there is a dining table with benches. 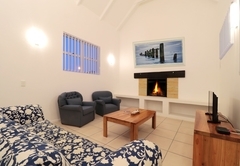 The lounge has comfortable furniture, a fireplace, flat screen TV with full DStv, Netflix and You Tube. 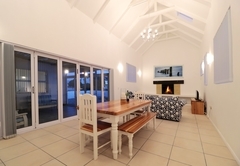 This area opens out onto a sheltered braai room with a built in braai and seating. Off street parking is available. 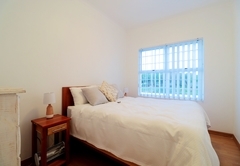 The house is child and pet friendly and has an alarm system. Pets are welcome by prior arrangement. 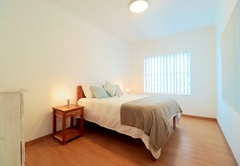 Pet owners are responsible for cleaning up after their pets. 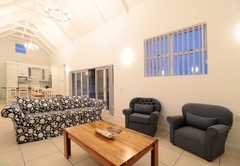 Witmossel is a self catering holiday home which has two bedrooms, one bathroom and a guest toilet. 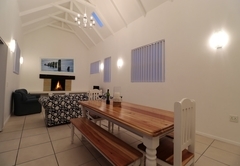 The open plan living area is double volume and contains a kitchen, lounge and dining area. 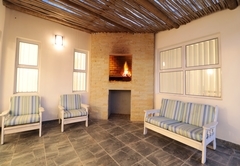 This area opens out onto a sheltered braai room with a built in braai and seating. Response timeWitmossel typically responds to requests in 5-10 minutes.